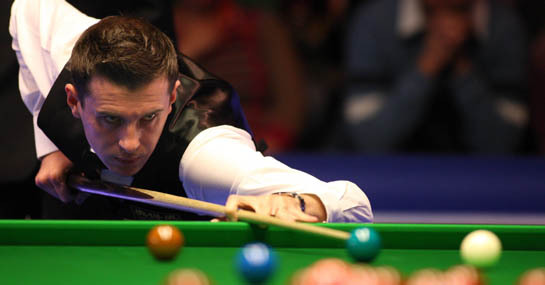 World No.1 Mark Selby heads into the first major snooker tournament of 2012 as the favourite – and with good reason. Selby has won the invite-only Masters tournament on two previous occasions and was the losing finalist to Ronnie O’Sullivan back in 2009. He begins his tournament with a first round game against 40/1 outsider Stephen Lee and should have no problem seeing off a player he has defeated in four of their previous six meetings. Elsewhere, 6/1 second favourite O’Sullivan faces an extremely tough opening round draw against defending champion Ding Junhui. ‘The Rocket’ crashed out of the UK Championships in the second round against Judd Trump earlier this month and has reiterated his desire to retire from snooker sooner rather than later, which makes the 10/1 offered for Ding winning the 16-man tournament look very tempting. UK Championship winner Trump is also at 6/1 to win the tournament and begins his campaign against 33/1 outsider, Stuart Bingham. Trump is making his first appearance in the tournament but has enjoyed a brilliant year that also saw him make it to the final of the World Championship. The 22 year-old is no longer just a bright prospect but an accomplished player with plenty of big game experience making him an increasingly attractive bet heading into any tournament. However, if you like your odds a little longer then you could do a lot worse than backing UK Championship runner-up Mark Allen at 14/1. Allen was bullish in his run to the final at York and the World No.11 should not be discounted at Alexandra Palace.